China Manufacturer of Back To Back Hook And Loop,Double Sided Hook And Loop, Back To Back Velcro, Double Sided Velcro. ,Double Sided Hook And Loop, Back To Back Velcro, Double Sided Velcro. 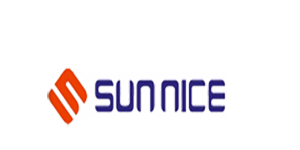 Sunnice Reusable Pallet Wraps Co.,Ltd. [Guangdong,China] Business Type: Agent , Manufacturer , Trade Company , Distributor/Wholesaler Main Mark: Americas , Asia , East Europe , Europe , Middle East , North Europe , West Europe , Worldwide Exporter: 1% - 10% Certs: ISO9001, MSDS, REACH, RoHS, TUV Description: Back To Back Hook And Loop,Double Sided Hook And Loop, Back To Back Velcro, Double Sided Velcro. Product categories of Back To Back Hook And Loop, we are specialized manufacturers from China, Back To Back Hook And Loop, Double Sided Hook And Loop suppliers/factory, wholesale high-quality products of Back To Back Velcro R & D and manufacturing, we have the perfect after-sales service and technical support. Look forward to your cooperation! Double Sided Hook And Loop fitted together by the Hook And Loop, the front is the hook, the reverse for the loop, also known as Back To Back Velcro. It can let users customize the length and size. Back to back hook and loop is a versatile Straps, it can immediately help you solve the thorny problem, is the the necessary helper of living home.